Nothing is more important in life than your health. The physicians and staff at Curry Medical Center in Brookings place the highest priority on how we care for our patients, taking the time to listen and truly understand your unique needs. We offer personalized health care, unique to each patient. Curry Health Network has provided healthcare services in Brookings since the 1970s. In February 2011, we opened the new 34,500 sq. ft. Curry Medical Center, which was funded by the public market through private investors. We offer the newest facility and newest technologies in health care. Curry Medical Center provides convenient access to experienced and dedicated primary care providers; in addition to specialty care including gynecology, general and orthopedic surgeons, urology, neurology, cardiology, and pain management. 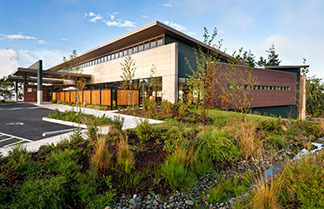 Curry Medical Center offers community-based health care by providers and staff with the expertise, experience, resources, and compassion necessary to serve your unique needs - all without the need for long distance travel. Curry Health Network - quality health care, right near home. Walk-In Care is available Monday through Saturday, 8 a.m. to 8 p.m., for medical conditions that require immediate attention, but may not warrant a visit to the hospital Emergency Department. 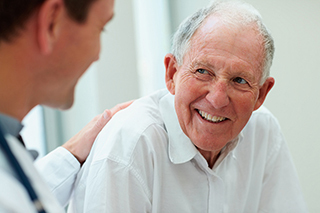 Walk-In Care accepts non-emergency, outpatient care to ambulatory patients on a walk-in basis without an appointment. For more information, call 541-412-2000. To make an appointment, please call 541-412-2000, ext. 1. Monday through Saturday (closed Sunday), 8 a.m. - 8 p.m.